Korey Lovett, formerly of Brevard High School, is now a freshman at the University of Alabama, and is the number 1 singles player on the Crimson Tide Men’s tennis team! University of Central Florida’s Korey Lovett, former Brevard High standout, advanced to the Round of 32 at the NCAA Singles Championships in Athens, Ga.
Congratulations to the Brevard High School Doubles Team of Liam Baer and Cam Wilson – State Champs! Read the Times-News article for more information. 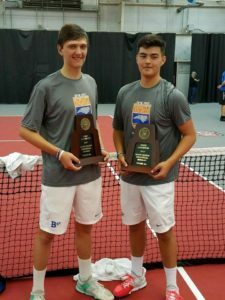 Brevard High School boys tennis team was runner-up in the Prep Tennis 2-A Championships – the Blue Devil team, which beat two previously unbeaten teams during their state playoff run, finished the season at 16-2. For full news story, click on this link. 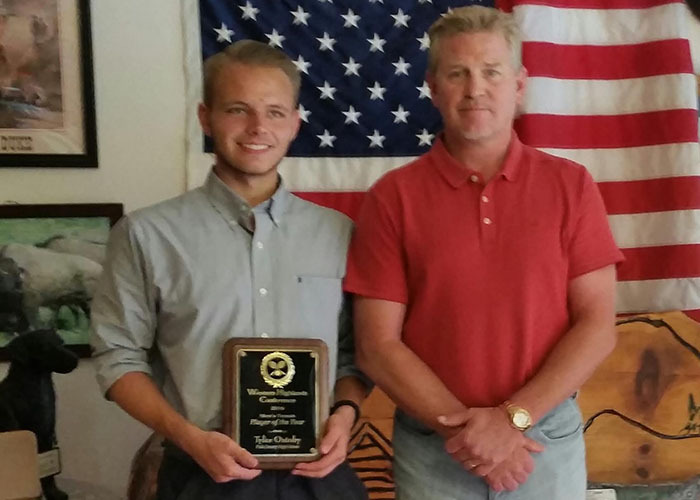 Polk County High School Senior, Tyler Oxtoby, received the Western Highlands Tennis Conference “Player of the Year” Award (pictured with him is PCHS Tennis Coach Richard Davis). 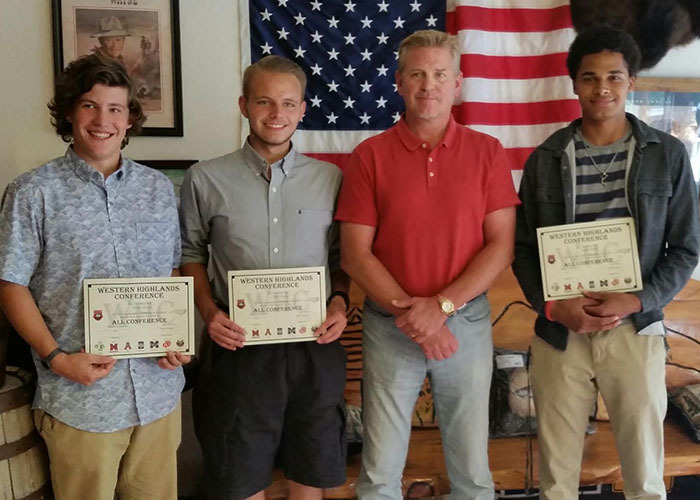 Three members of the PCHS tennis team also received Western Highlands “All Conference Awards” – Tyler Oxtoby, Henry Monts, and Malik Miller, (pictured with Coach Richard Davis)! For full news story, click on this link. 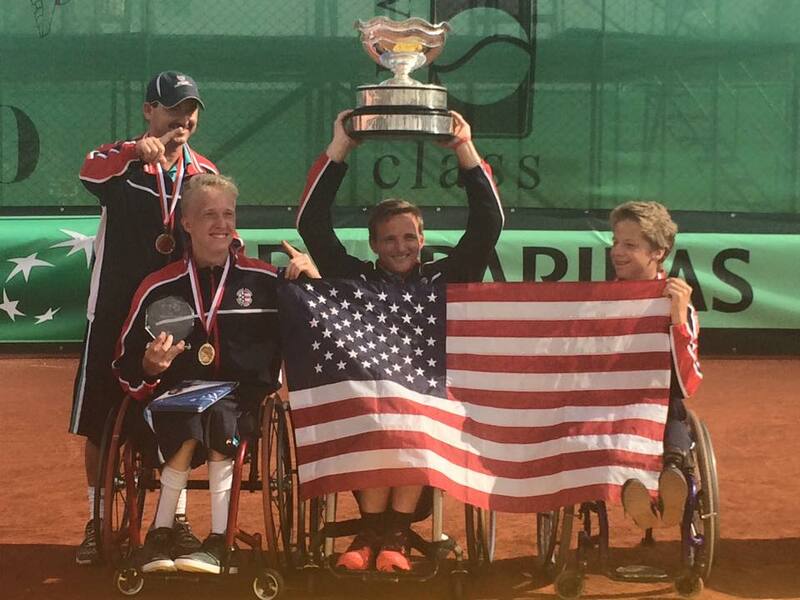 The USA Juniors beat the Netherlands today to become the 2015 World Team Cup Champions!!! Congratulations to Chris Herman, Casey Ratzlaff, Conner Stroud and coach Jason Harnett on an awesome tournament! 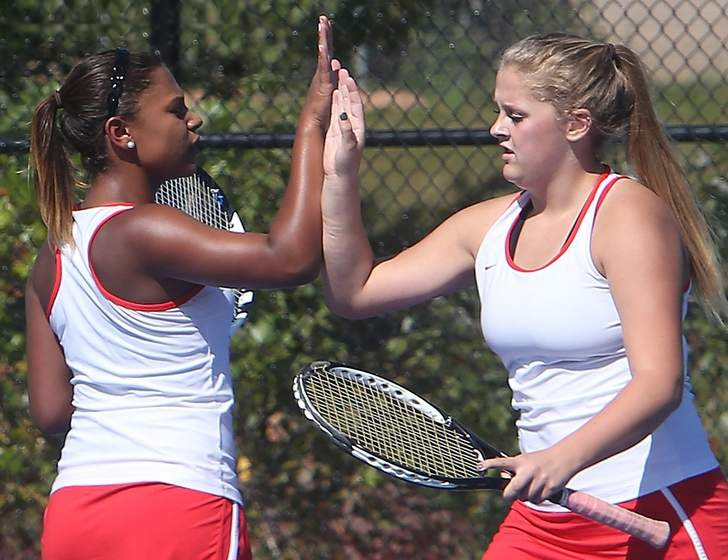 Congratulations to Adrienne Haynes of Asheville High, NCHSAA State 3A Singles Champion! Congratulations to Savannah Smith of West High School, NCHSAA State 3rd place finish! NOTE TO COACHES AND FANS – Please send us your team news, pictures and highlights. Please forward the information to Bevie at bevstan890@gmail.com. 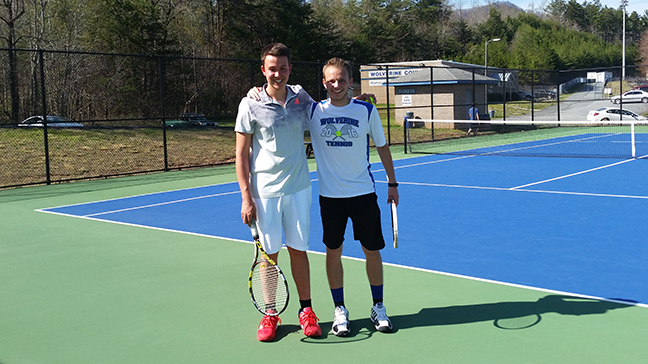 Want to share your love of tennis with a foreign exchange student for a school year? 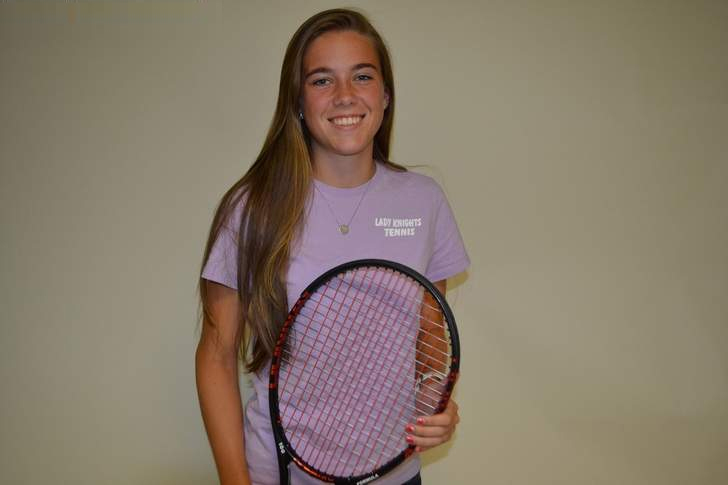 Contact Nicole Luna, Regional Coordinator for the State of North Carolina, EF High School Exchange at www.efexchangeyear.org or 919-798-1715 to make a dream come true for students interested in studying in the USA and playing tennis.